Charlie Bucket’s family is poor. Charlie only gets one chocolate bar every year, compare that to our lives, chocolate every day. Mr Willy Wonka owns a massive chocolate factory in the middle of town. This factory has been closed for a decade or so, because other chocolate factories have been sending spies to work at Wonka’s and find out how to make all the luscious sweets and chocolate. 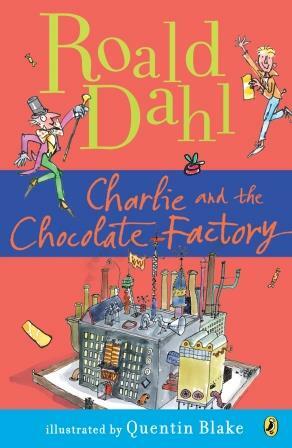 I love this Roald Dahl book, because all Roald Dahl books are great! But in this one, I love that it is about chocolate! I love chocolate! The description of everything is awesome! The sweets, the chocolate, the factory, and the characters. I love the characters in most books, but this one really stands out, the crazy Wonka, the subtle Charlie, the stupid ticket finders! It is a must read, it is a kids classic!